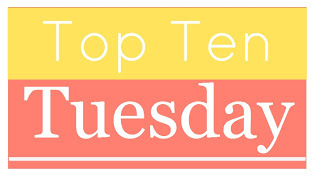 Top Ten Tuesday-Books I Wouldn’t Mind Santa Bringing Me | YA? Why Not? ‘Twas the night before Christmas and all through the house is one little mess after another, but I am ready for tomorrow! Anyway, I didn’t have a chance to put together a Top Ten Tuesday list. My apologies to The Broke and the Bookish who managed to have their act together! I am hijacking your TTT and switching it up. I would love for Santa to bring me some books, but I don’t have time to think of the ones that I really, really want so I am going to tell you about the books that I am giving as gifts this year. 1. For my 9-year old nephew: D’Aulaires’ Book of Greek Myths by Ingri and Edgar D’Aulaire. I love this book and I think my nephew will be able to read a lot of this on his own. 2. For my 8-year-old nephew: Volumes 5-7 in The Rangers Apprentice series by John Flanagan. He loves this series and my brother loves to read them to my nephew. I have already advised my brother to read them out of order and read #7 before #5. 3. For my 7-year-old nephew: The Animal Book by Steve Jenkins. Unlike his brother and cousin, this guy needs to be encouraged to read. It’s not his first choice of activities, but once he settles into it, he enjoys a good book as much as the rest of us! Animals are top on the list of things he is passionate about and I hope this book will keep him occupied! All three boys are getting a zoo membership as well, so I am sure he will study this book before and after zoo trips. 4. For my favorite aunt who ALWAYS bought me and my siblings books for Christmas (I LOVE being that aunt for the boys! ): My One Square Inch of Alaska by Sharon Short. I was fortunate to get a signed copy for my aunt. She and her sister (my mother) took a trip to Alaska about ten years ago. We lost my mom about five years ago, but I know that my aunt always thinks fondly on that trip. I hope this brings back happy memories for her! 5. 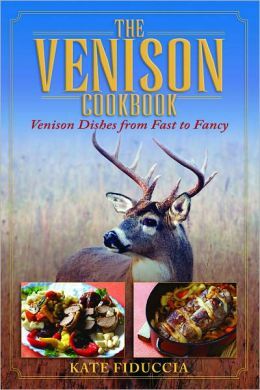 And for my youngest sister who has gone off to live on a ranch in Montana with a dreamy cowboy, a pair of horses, and a flock of chickens: The Venison Cookbook by Kate Fiduccia. This has the look of a gag gift, but I know for a fact that she has a freezer full of deer meat and she will love this! This entry was posted in Book Lists, Top Ten Tuesdays and tagged Christmas gifts, John Flanagan, Top Ten Tuesday. Bookmark the permalink. I had D’Aulaires’ book of Greek Myths as a kid! I totally loved it! It was my first real introduction to Greek Mythology and I think it’s what sparked my love for it. My 9-year-old niece would go crazy for the Greek myths book! She’s hooked on Percy Jackson and likes to pretend she’s a demigod. I got him the box set of Percy for his birthday in November, so I figured this was the perfect follow up!